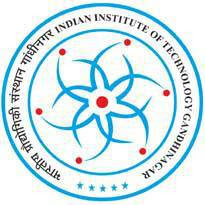 Indian Institute of Technology (IIT) Gandhinagar Published Recruitment Notification for Junior Research Fellow (JRF) Posts. Qualification : B.Tech. / B.E. /M.Tech. in Electrical / Electronics / Computer Science Engineering and related disciplines with valid GATE score and knowledge in Signal Processing, Image Processing, and Computer Vision, Coding skills in Python and MATLAB and optionally C / C++.